Which of the following angles are congruent? We know that congruent angles are equal regardless of the arms length and orientation. 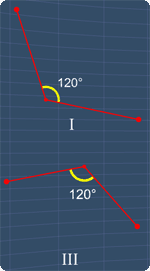 Hence, angle I and III are definitely congruent angles. 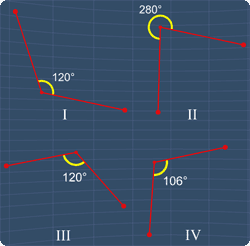 As for angle II and IV, they are not congruent as these angles are not the same. Also, these angles are not congruent with angle I and III. Clearly, only I and III are congruent angles. Hence, the answer is A.